Note: NBN Co’s response to this story can be found here. Consumer action group Digital Tasmania late last week expressed its frustration with what it said was a lack of information and promotion about the Federal Government’s National Broadband Network project in the state — with some communities having no knowledge about when they would get the next-generation network or how to use it. Spokesperson Andrew Connor said many in Tasmania — the first state to receive the new infrastructure — had heard of the NBN, but few knew other details. “Even those who seek more details are often left confused over how they will connect to the NBN in terms of fibre or wireless; and how to compare their current broadband plan with those the NBN will offer.” said Connor in a statement, after appearing in Launceston before the Federal Parliament’s committee looking into the NBN. “At the end of the day, people want a straight answer. We acknowledge that circumstances may change as the rollout progresses, but more clarity in the rollout timeframe is key in helping consumers decide whether they should be committing to things like 24-month broadband contracts with an ISP,” he added. Connor gave the example of confusion being experienced by the communities of Hillwood, Dilston and Windemere in the East Tamar region in Tasmania, pointing out that although the areas were close to a major city getting NBN fibre to the premises, and had fibre backbones to existing exchanges, the regions had been told they might actually lose existing ADSL1 and ADSL2 services as the NBN rolled out fixed wireless services to the region. There are certain technical advantages to the fixed ADSL service over wireless services — with one usually being better latency (or response time to the broader internet). “For some with ADSL2 this is seen as a step backwards, for others they are missing out on the opportunity to leap ahead to fibre speeds and services running at 100-1000Mbps,” said Connor, who asked whether there would be a plan to progressively upgrade communities on wireless to fibre in the future. NBN Co has been contacted for a response to the issue. Digital Tasmania is also keen to know when construction of the NBN in the next seven towns slated to receive new infrastructure as part of the second major stage of the rollout will take place, with the group noting that construction was originally scheduled for December 2010. The group added that in general, there was a lack of education around what the NBN would mean for the everyday Tasmanian. “NBN and ‘optic fibre’ is mentioned by government at every opportunity but explaining it has not been a priority. Many people who speak to us express frustration that the State government is squandering its much-touted ‘NBN Advantage’,” said Connor, noting the situation was not helped by proposed cuts to ICT initiatives in the state’s recent mid-year financial review. “We fully support the NBN project and accept that it’s a massive undertaking, but we are calling on the State and Federal Governments, NBNCo and the Retail Service Providers to make more information available to consumers so that they can have a better understanding of what the NBN can do for them,” he concluded. Here we are in the middle of March and nothing has been done in regards to the 2nd phase roll out. When WILL this start I wonder? The new LTE technology have negligible difference in latency compared to ADSL2+. I am still looking for details on how stable the connections are. I would suspect they have a very high jitter making them unsuitable for some applications. (Where jitter is the comparison of latancy of packets in quick succession expressed as the range of the latency values. Lower jitter is better for VoIP and gaming). NBN Co has, for the most part, dropped the ball when it comes to information about the NBN. I have found myself answering simple questions about the network coverage that the general public should already be aware of. I hope they pick up this fabled advertising campaign we heard about a few months ago, so that lobbies such as this one get their answers. Also, I would like to know what wireless and satellite technologies they will be using, and better advertisement of the “community supported fibre rollouts” that NBN suggested for communities that fall outside the Fibre footprint. I have to say about latency — I will believe they have a service which has as good latency as ADSL when I see it in operation … I simply have never experienced a wireless broadband service with as good latency as a fixed broadband service. Renai I believe there are some wireless networks that do have low latency. I know Internode builds them in SA for a few select regions that could not get ADSL. It does involve having a directional antenna installed on a users roof and is tuned for that site. I fear though the NBN solution will be more along the lines of non-directional cel-type towers. Not an ideal solution and I highly doubt it will be as good as ADSL. The latency of LTE is still out for me. It seems to do really well compared to other omni-directional wireless technologies, and is on par with some of yesteryears fixed-line technologies (which is to be expected), but like I said, I still don’t think LTE will be suitable for applications like gaming. IMO advertising will be necessary in localised areas to inform the public of upcoming roll-outs and on a national level to clear up the doubt and confusion about the NBN which is constantly propagated by the opposition. That’s a very good point. Particularly as the government is already considering spending millions to pitch the benefits of a carbon tax to Australians. Which they will undoubtedly be criticised for. And then there’s the flood levy..
Having said that I would love to see more advertising and information from the Government. Even in the form of a brochure delivered to every door explaining what it’s all about. NBN was in the lead up to the last Federal election. And that was just election fluff. Nothing substantial. Better education about the benefits of the NBN should be a big priority for the government this year, as at the moment it feels like the coalition are winning support with Turnbull’s very effective campaign of fear, lies and misinformation. 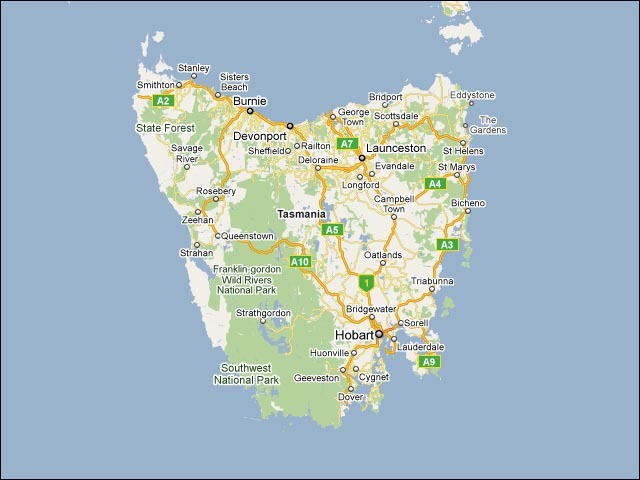 Why does Digital Tasmania feel left in the dark? Should they know more than the other 99.9% of the country that hasn’t been told any thing, let alone seen any plans of when the roll out’s coming their way? NBNCo has been tasked with designing and building the network. The government is the mob which has failed to educate the people about it. The abject failure of the government to educate ordinary people about the NBN has permitted the opposition to trot out any rubbish it likes to criticise the NBN and the government. This has had the effect that many who believe everything Malcolm (isn’t he lovely) Turnbull says, simply fell for the FUD and many of them continue to rail against the mythical beast that they believe to be the NBN. But the coalition still didn’t manage to quite defeat the unpopular ALP government at the last election, because enough people “got it” that they could not vote for a coalition that promised no fibre and no separation of a despised Telstra. But I have two views on this and can’t decide which one I like better. The obvious one is that the government failed to educate, and was just lucky not to lose. The other is that the government tricked the coalition into railing against fibre, counting on enough of the electorate to be appalled by the coalition that they voted Labor, or at least Green. I like the elgance of the latter scenario, but cannot believe the government was clever enough to pull it off. Nah, of course they just failed to educate, but were lucky the coalition took such a stupid stand and lost the unloseable election of 2010. And they may even do so again in 2013. The task now is to educate. In Armidale the locals ran the education and secured more than 90% opt-in. Maybe we can hire some clever Armidalians to do a national education campaign. Wouldn’t it be wonderfull if National Newspapers informed, instead of spreading FUD. Wouldnt it be wonderful if Labor did more itself to sell the message? The Australian and associated papers are pretty much against it for a variety of reasons, including Government ineptitude. I have just being looking over the wiki in regards to the South Korea rollout and read this paragraph. Where is the equivalent in Australia to capture those that are are ambivalent or fearful towards the NBN? There is no investment in the education of these people. Those that want to find out more are forced to search for website like this for further information. Even then it isn’t any clearer with all the name calling, obfuscation and outright lies through people championing their ’cause’. Labor has dropped the ball badly on this and its a pity as they had a good product to sell. That is the most frustrating part.